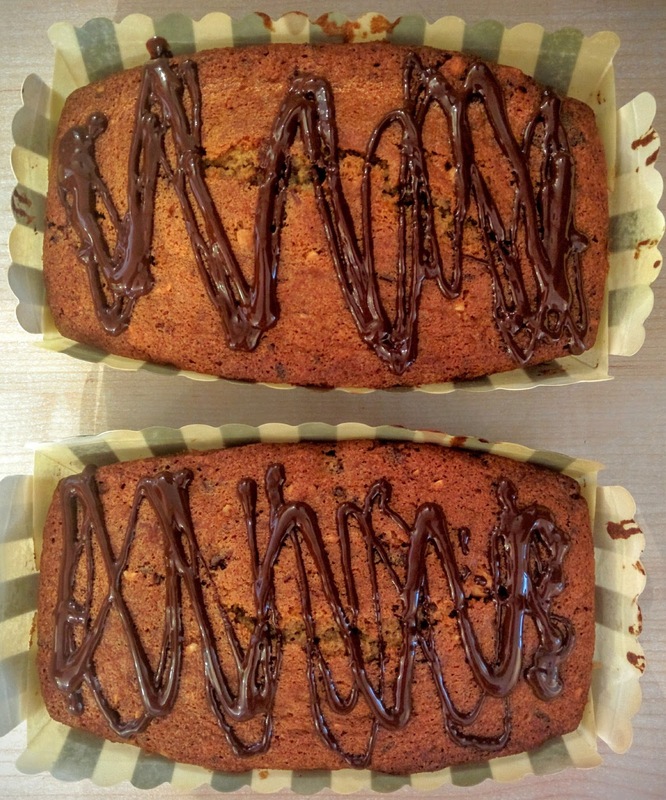 Chocolate & Hazelnut Loaf Cakes – Where Is My Teaspoon? Friday friday friday oi oi oiii! One of my new year’s resolutions for 2016 was to try and make more gifts for people rather than always buying things. I still buy the odd thing but so far have been successful in giving food to my friends and family for birthdays or leaving dos! Over this week, two of my cousins have birthdays and I wanted to give them something nice but was short on time so came up with these twin Roasted Hazelnut and Chocolate Chip Cakes – how cute right? The issue I have with giving home made gifts isn’t the actual making of the treat, it’s finding something to put the baked thing in! Originally, I was going to buy jars and make cookies but stumbled across these little cake holders in TK Maxx (okay I know I seem to shop here a lot) and thought they’d do the job nicely. Also, as these card tins are so small – one cake mixture will make two cakes. This is perfect if you’ve got two occasions coming up and are short on time. I may have slightly over filled them though as they came slightly apart in the oven. Nothing leaked out though so all good. I always keep some roasted nuts in the house lately. If you haven’t got any, simply place your hazelnuts on a baking tray and roast in the oven for about 15 minutes. Allow to cool slightly and then chop. These will keep as long as they’re in a tin and are so handy for last minute bakes. It is well worth roasting the nuts before you bake with them as it offers a deeper flavour and will bring out the best in your bakes. Preheat your oven to 190 degrees and line a normal loaf tin if using or, if you can find the smaller card tins (like the above) just set them to one side. Chop the dark chocolate into small pieces using a sharp knife. Place all ingredients into a big bowl and beat until all is combined. Tip the mixture into your tin(s) and bake – 40 minutes if using a normal sized tin, 25-30 minutes if making 2 with smaller tins. I always like to check a loaf cake after 30 minutes anyway as every oven is different. As these were a gift I quickly piped some melted dark chocolate across the top in a simple zig zag but this cake really doesn’t need it as the flavour is there without it. The cake should keep in a closed tin for up to a week and does freeze well. I was really pleased with the way these came out – always hard to get 2 the same! Let me know if you try it out too. Next Post Do you know the muffin woman?